Whew! 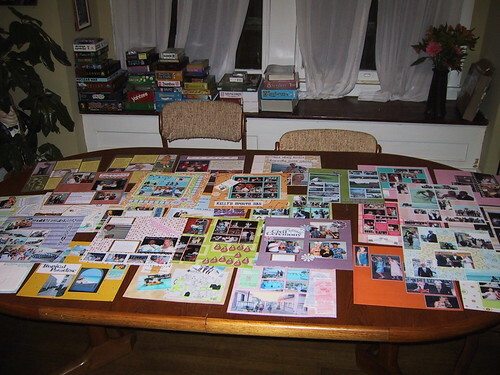 Last night I finished the last content page and cut the folios for the mounting and binding. I still have a few little odds and ends to sprinkle around in blank-looking spots, and a couple of pages are going to want titles, but this phase is substantially done! Remaining tasks: scan the pages, make the covers, mount the pages on the folios, bind. I can't wait to see how it looks all put together--I must admit that I am exceedingly pleased with this book so far.